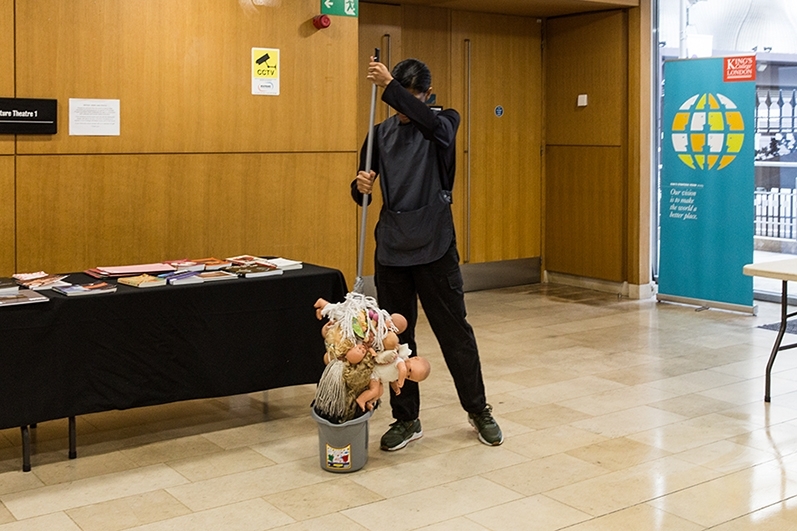 Performance commissioned by the Birth Rites Collection for Oxytocin 2019 at Kings College London.Oxytocin is an annual event by the Procreate Project that, in 2019, was a collaboration with the Birth Rites Collection. 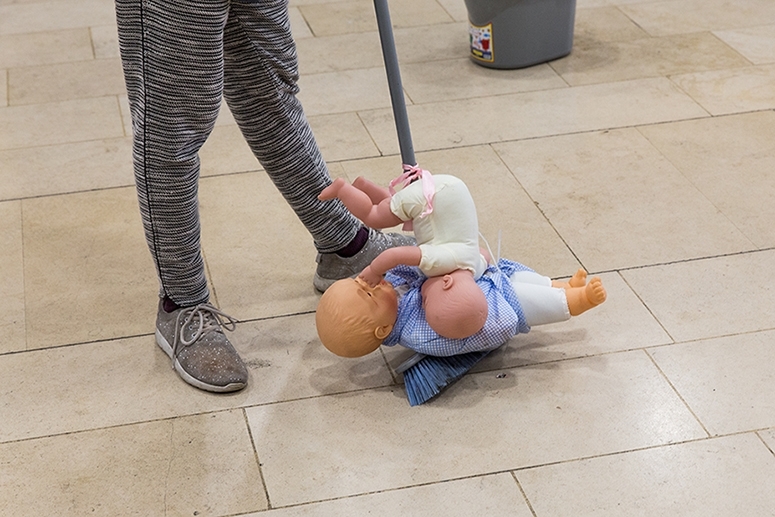 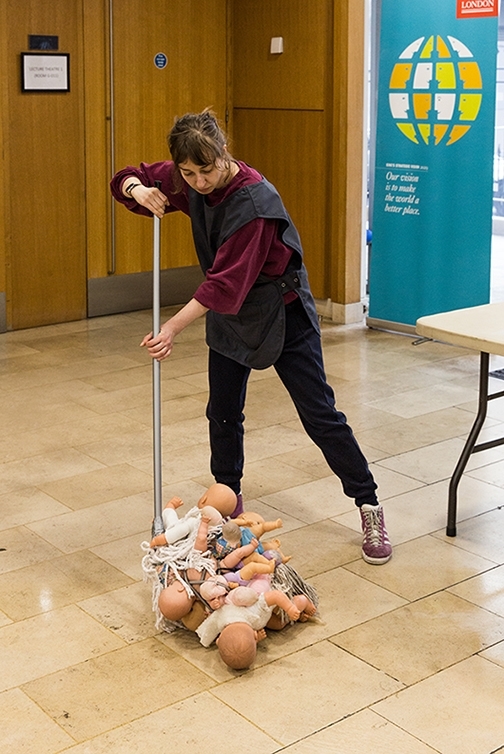 "Laura Yuile presents a new performance exploring the societal tendency to position the figure of the Child as representative of “the future” – a reliance on reproductive futurism - and the problems of this representation for those who choose not to reproduce or cannot reproduce. 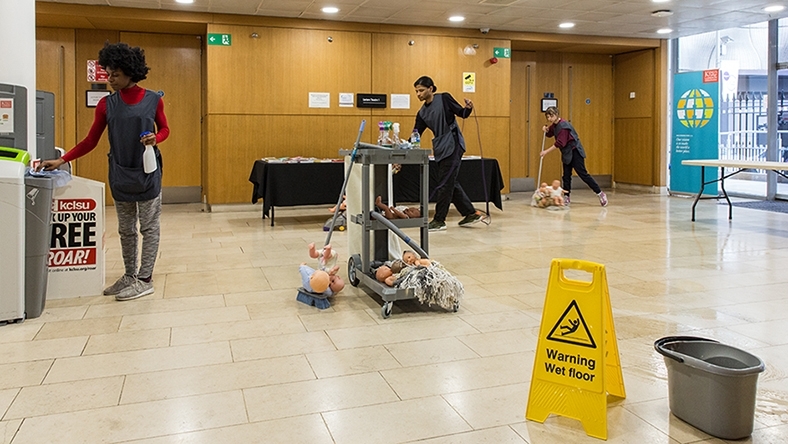 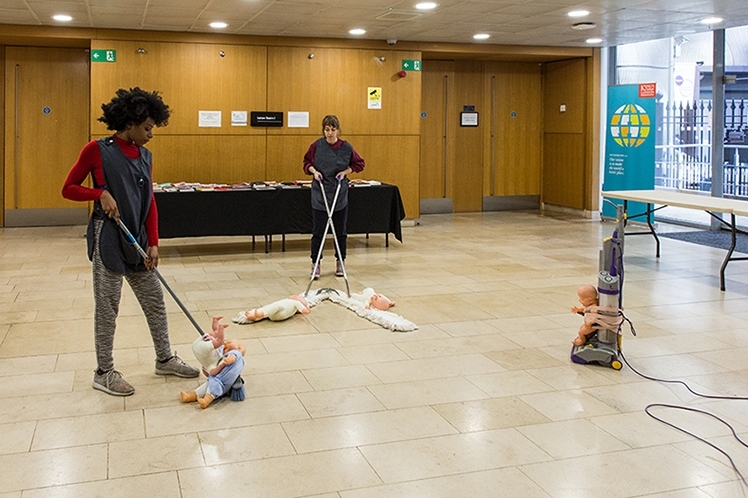 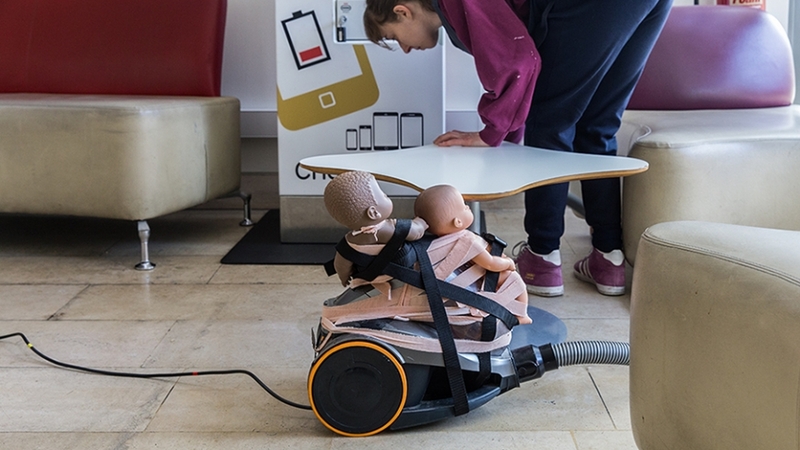 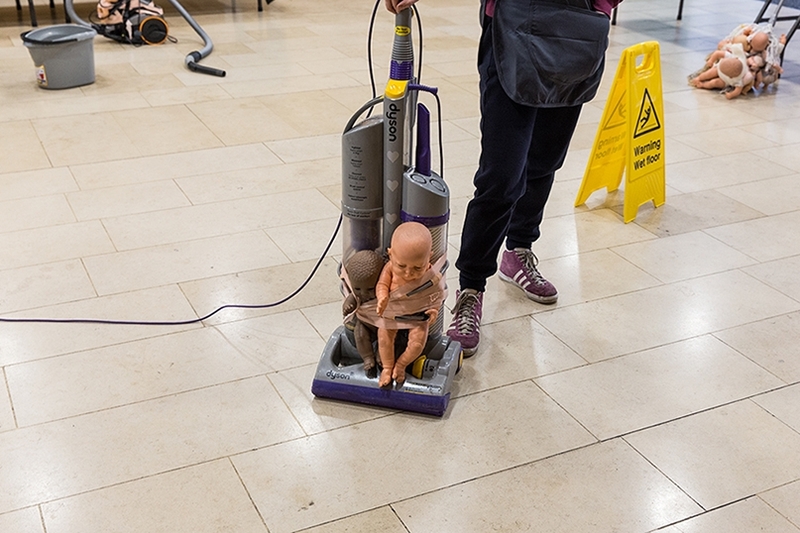 Comprising three cleaners engaging in a monotonous maintenance ritual throughout the ground floor foyer area of New Hunt’s House, the performance positions issues of social reproduction alongside those of biological reproduction. 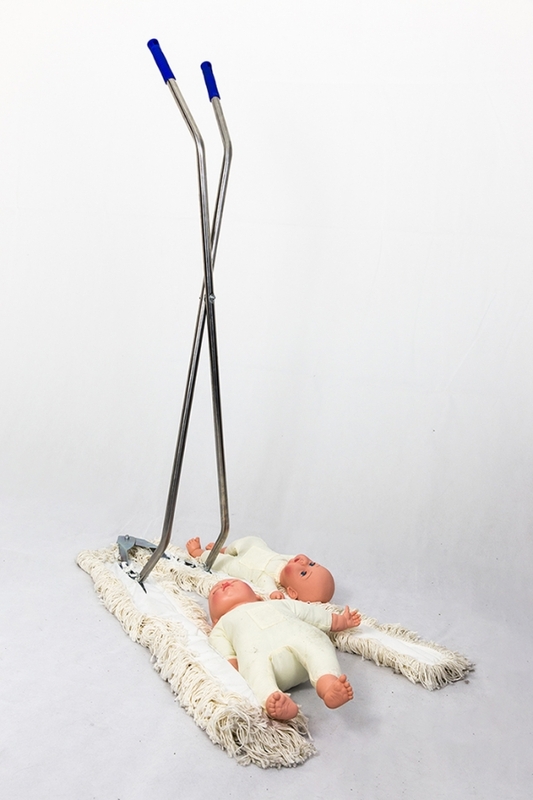 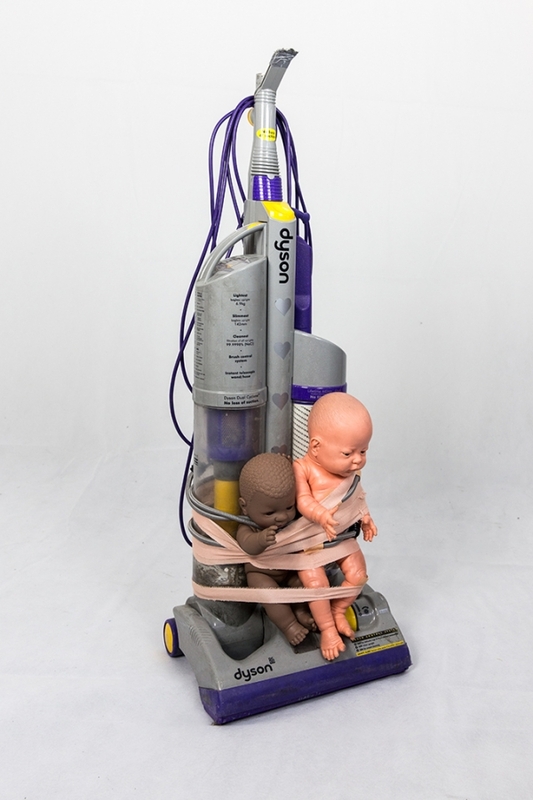 The tools and appliances used by the cleaners have been haphazardly modified to combine representations of the human body (specifically, of baby and child) with lo-fi machine and fragments of mops, brushes and other cleaning implements; thus linking the notion of reproductive futurity with the neoliberal characteristic of cleanliness as generating a forward-facing pathway. 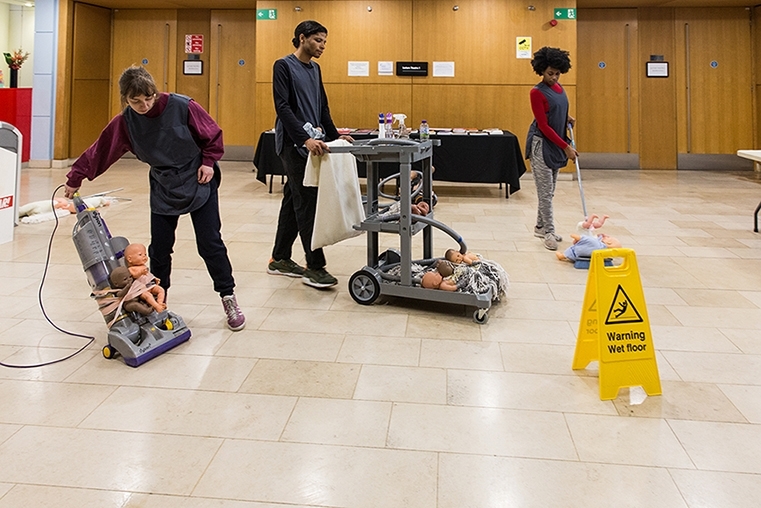 The soundtrack that resonates throughout the space features audio from instances of emotional advertising that have been created to sell new technology, greenwash a company, or raise awareness of climate change; punctuated with “announcements” that draw from the writing of queer theorist Lee Edelman – and later discussion of them by Xenofeminist Helen Hester - as well as cliched advice relating to reproduction that circulates the internet. 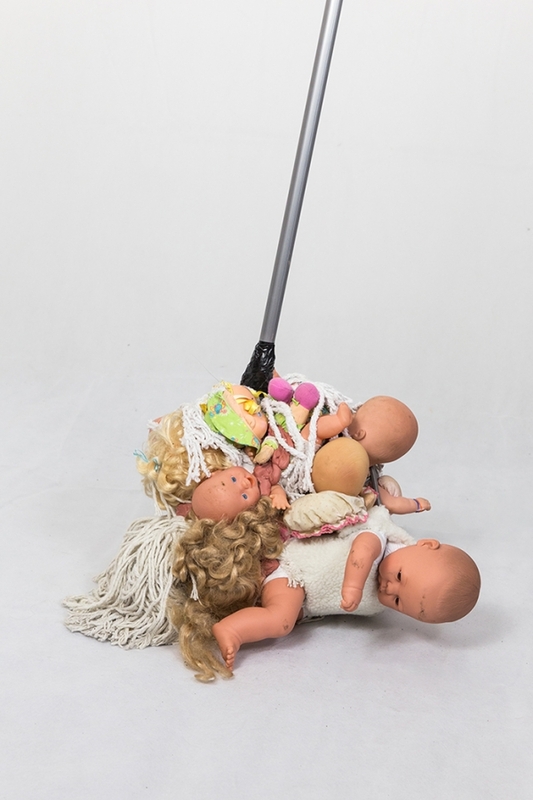 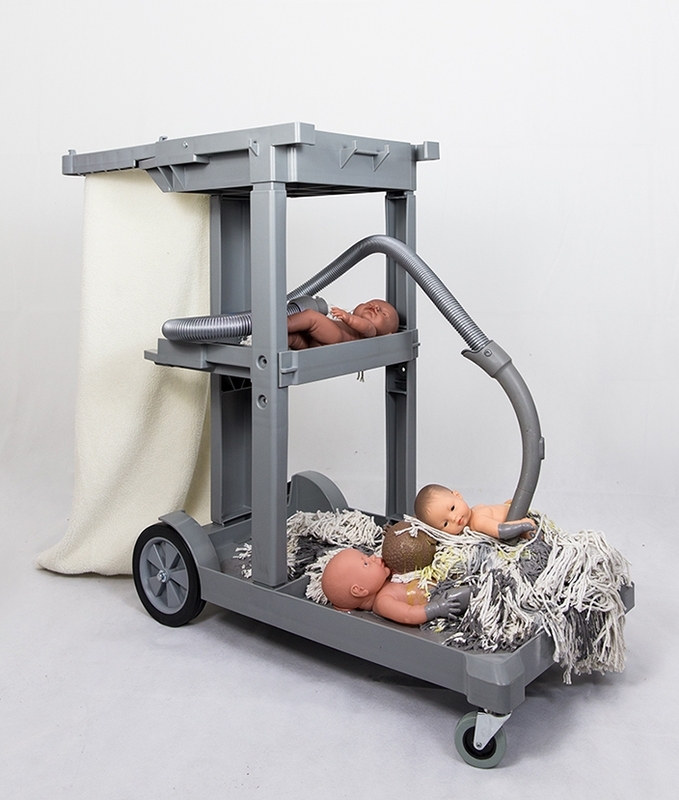 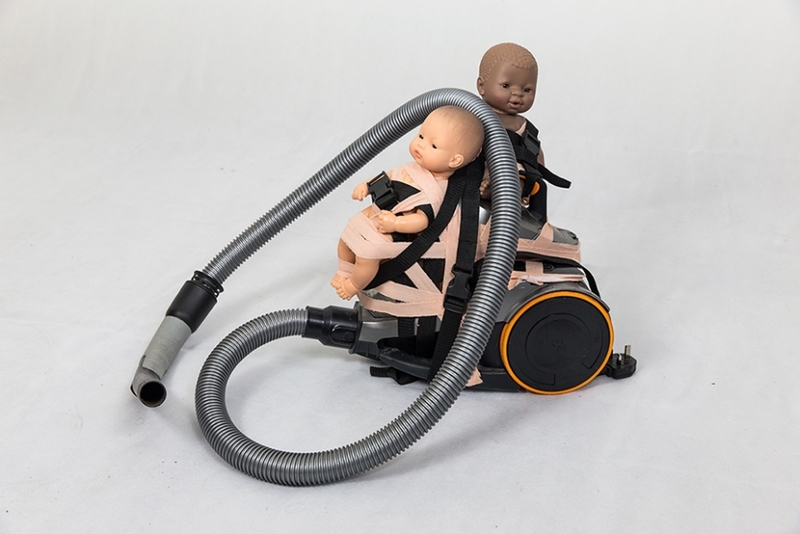 Through these juxtapositions, Laura seeks to deconstruct notions of “the future” and ask questions about ideas of care in relation to reproduction and the drive for technological “innovation”."